Whenever I am in a different city, I love to look at the outdoor medium. I survey the landscape to see what type of media is happening – large or small-scale signage, wraps, 3D work, etc. On a recent visit to Winnipeg for the Women’s World Cup, I noticed a striking contrast to my April trip to Chicago. In bigger cities like these, high profile building sides can represent space for ad units with a premium price tag. They have large-scale draped vinyls clinging to their sides showcasing ad messages. In days past, these ads were hand painted on buildings. Most have long ago faded into the brick or have been covered by new building owners, yet a few remain as signs of the past. 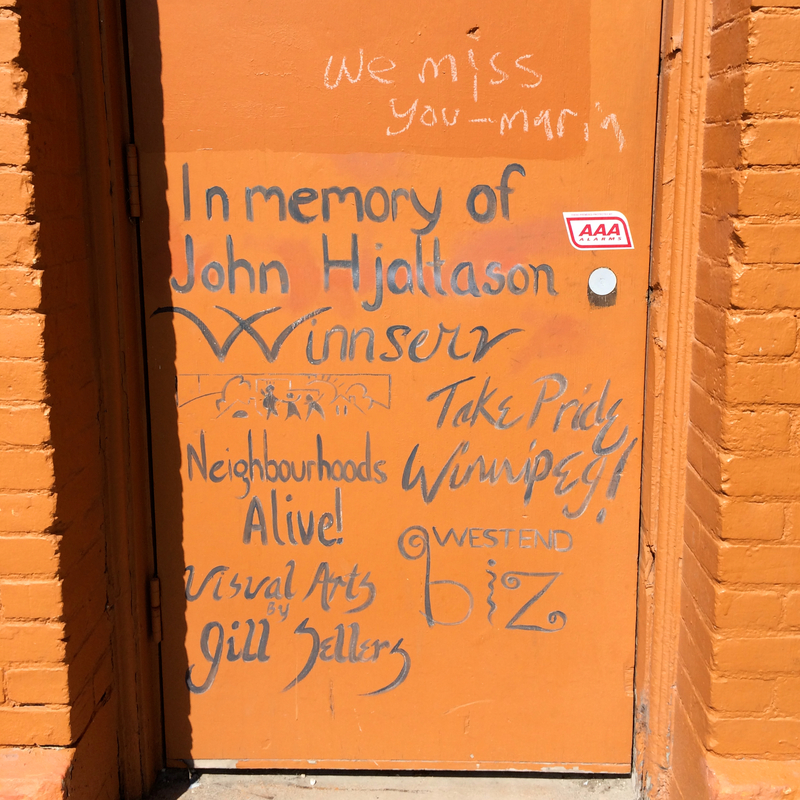 However, in Winnipeg, vibrant art prevails throughout the metropolitan area with painted murals coating many of the buildings’ walls. Art permeates the city’s culture with numerous museums and studios for classes. 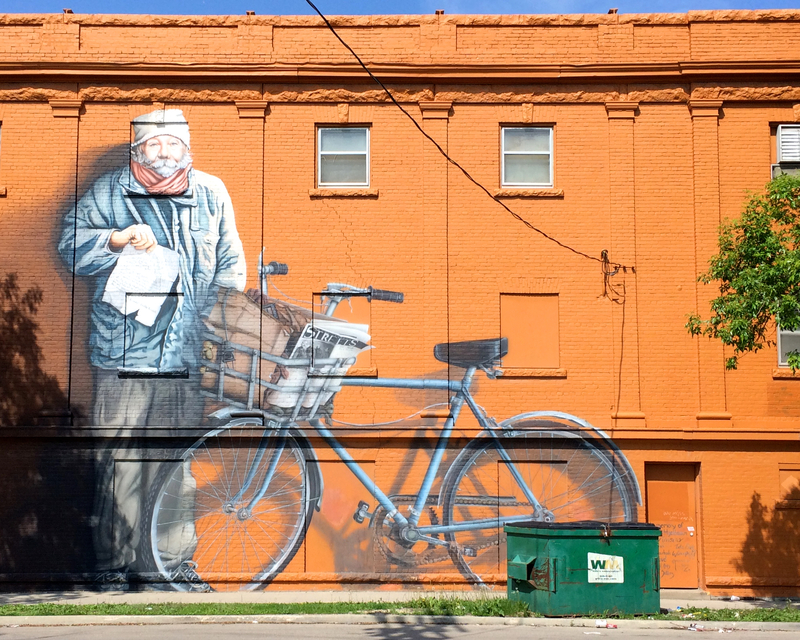 Studios, shops, delis, apartment buildings and more sit on busy street corners with artscape facades. Beyond the multitude and scale of these paintings, one of the things I found interesting was what I heard as a foundation for their existence. According to a local resident, many of these artscapes are commissioned works to help avoid graffiti. By covering the walls in art, taggers respect the work of other artists and therefore won’t disrupt it like they would a plain wall. At the base of a number of the works, dedications are noted; some in memoriam, others a reflection through a quote or other artistic expression. Following my draft of this entry, I ran across a piece published by NPR on June 27, 2015. 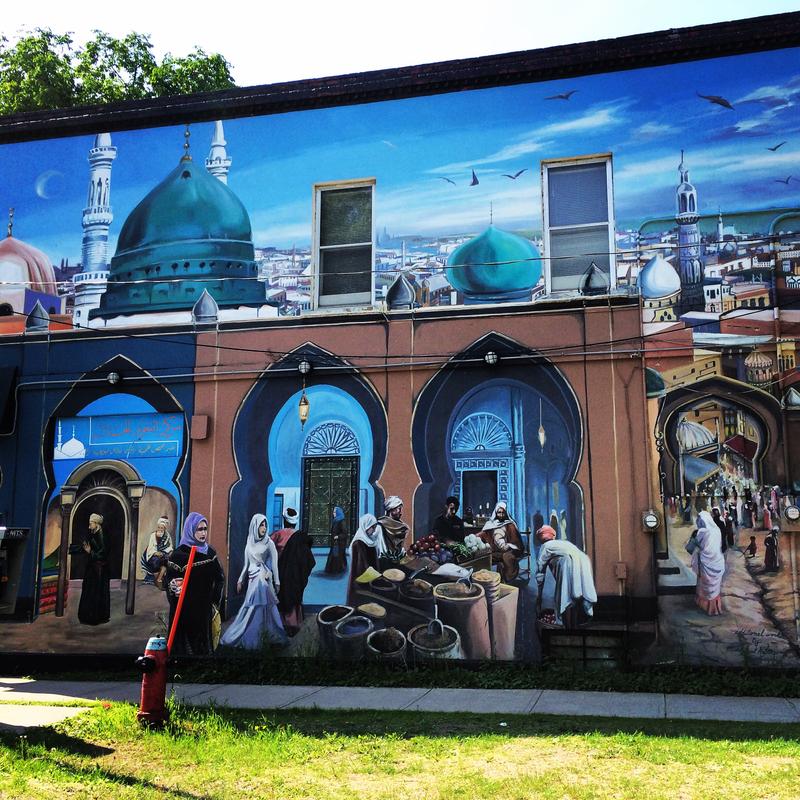 The article refers to the beauty murals can offer communities, as well as beautification of plighted areas. It addresses the positive, local impact of the artwork. The article investigates other aspects of these works – when ownership becomes an issue and use of the space for advertising. 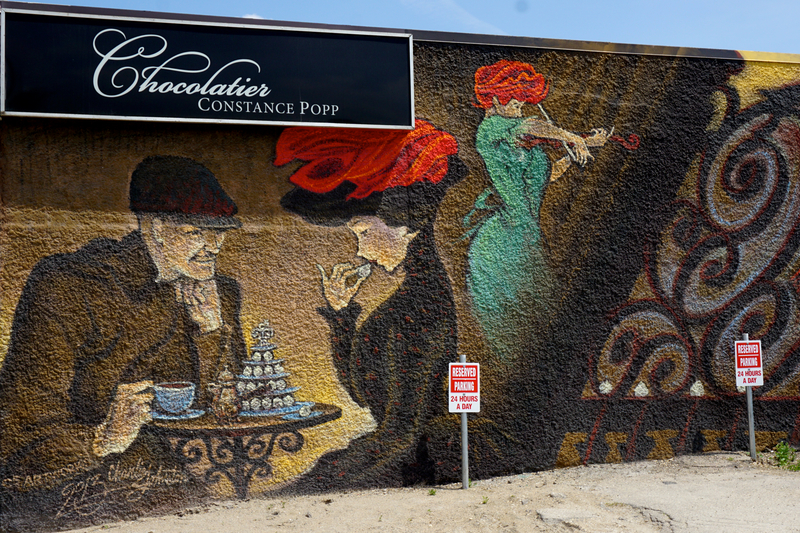 In provides examples of times when advertising and artscapes (murals) become at odds with one another due to the high demand for visible real estate and marketing dollars. I recommend the brief read. 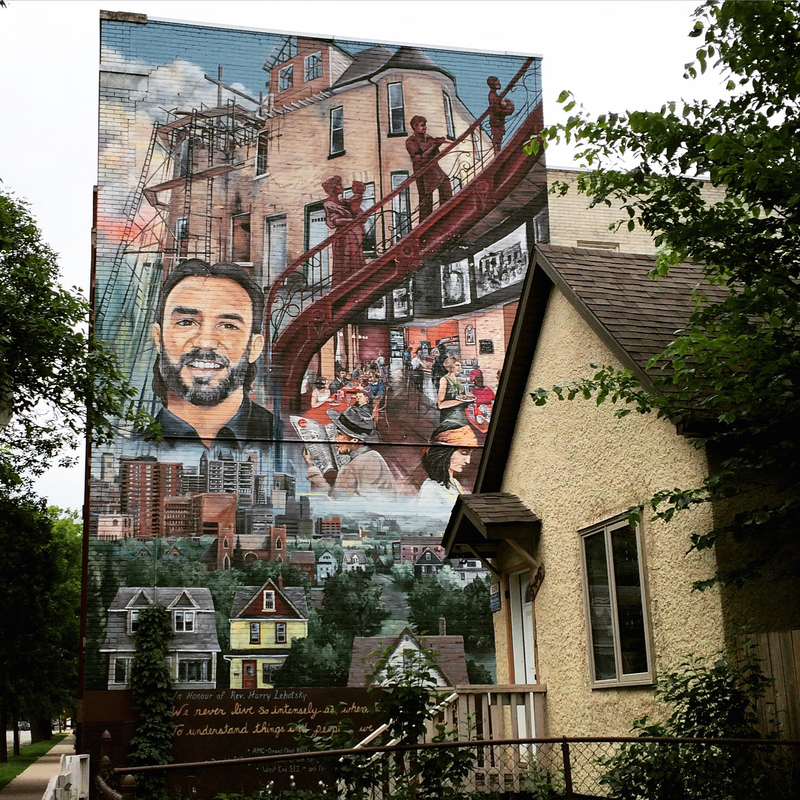 In lieu of advertising examples appearing in this post, such as the wrapped Women’s World Cup buses, you’ll see a handful of Winnipeg murals as a thank you for the inspiration they provide each day to those who pass them. I am also posting these to share the beauty as a thank you for those who support Cake Shop Media. 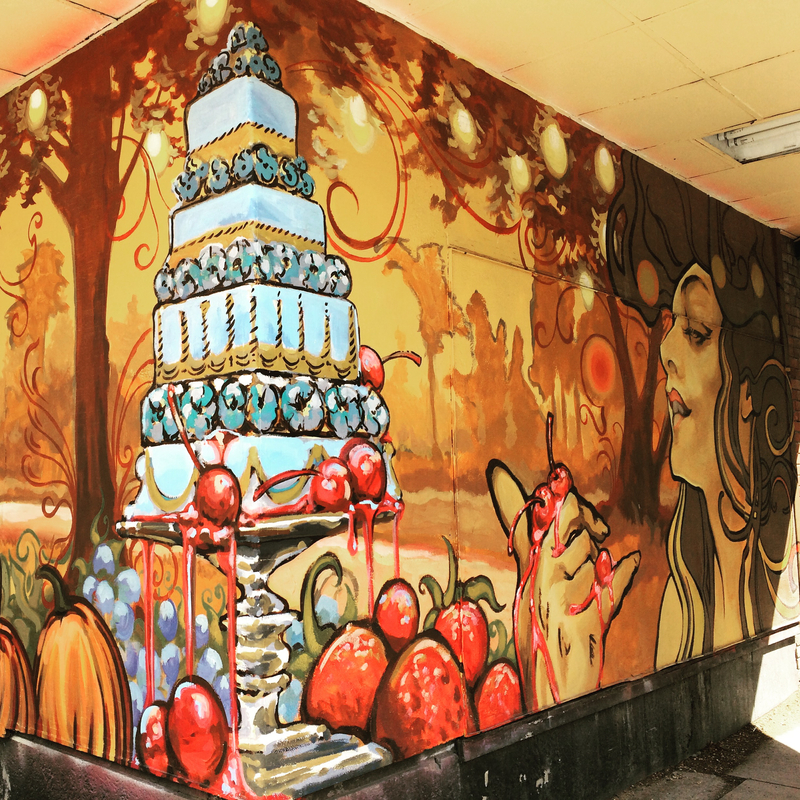 Cake Shop Media turns 3 tomorrow. Thank you, thank you, thank you.